Everyone loves a beautiful smile. It can brighten a room, and it is indeed infectious. However, if you find that your smile is not as appealing as you’d like it to be, there are options available to correct your smile. Cosmetic dentistry is a form of dental work that is employed to improve the imperfections of the mouth. Crooked, stained, decaying, or disproportionate teeth are just some of the things that can be altered with cosmetic dentistry. There are many cosmetic dentistry options available. With the expertise of Dr. Skrobanek at GPS Dental, the right corrective procedures will be used to enhance your smile. Consider some of your cosmetic dentistry options below. If you have teeth that are discolored or disproportionate to each other, veneers provide a suitable solution. This treatment enables patients to receive the smile they desire in very little time. Veneers consist of a thin piece of porcelain, which is used to cover and conceal any imperfections. After removing a small portion or layer of your teeth, the porcelain is bonded to your teeth offering strength and permanency. The result is the appearance of naturally beautiful teeth. For individuals with chipped or cracked teeth, cosmetic bonding has proven to be a great way of correcting these issues. During this process, bonding materials are fused to the teeth. The added elements modify the shape and color of the teeth and create a surface that is resilient and highly resembles natural teeth. Enamel shaping is a process that involves contouring or re-shaping your natural teeth. This is one of the less invasive cosmetic dentistry options that still give immediate results. Enamel shaping improves the appearance of cracked or uneven teeth that tend to overlap one another. For many dental patients, it eliminates the need for braces as the contouring often helps to improve and re-align the teeth slightly. During the process, teeth are contoured to eliminate the appearance of unevenness and bring the affected teeth in line with surrounding teeth. The enamel shaping techniques can also be used to correct issues preventing the patient from biting down correctly. The benefit to this procedure is that it can be completed in one visit, which is far preferable to the years that braces can take. However, in some situations, a follow-up appointment may be scheduled to assess the result. 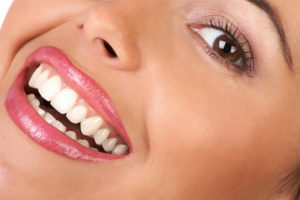 One of the most popular cosmetic dentistry options is teeth whitening. Many people opt for this procedure as a way to vastly improve the color of their teeth. Teeth whitening can brighten a smile because it lightens discolored teeth and removes stains. At GPS Dental, we offer a few teeth whitening options. For more information on your options, feel free to ask our team of professionals what will work best for you. Dr. Skrobanek and our team of experts at GPS Dental are committed to our patients. With years of experience and dedication to excellence, we ensure that the comfort and happiness of our clients are at the forefront of our practices. If you require more information on the cosmetic dentistry options we provide, contact our office. Our team of professionals will be more than happy to receive your call.